A mother's love is unparalleled and during this time of grief and mourning, Nipsey Hussle's mother, Angelique Smith, has been a pillar of strength for her family and her son's fans. 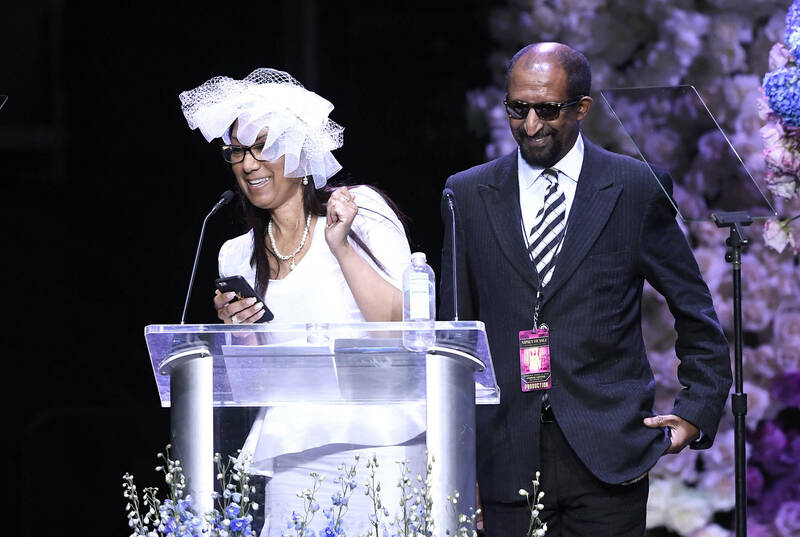 Yesterday, people from all over the world tuned in to watch Nipsey's memorial service at the Staples Center in Downtown Los Angeles, and during the ceremony, Smith and Nipsey's father, Dawit Asghedom, stood together in front of the audience as she delivered a comforting, yet emotional, message. Following the service, Nipsey's casket was taken through a 25-mile procession of South Los Angeles, and during the drive, fans who stood waiting on the side of the street were able to enjoy an uplifting moment with Smith. A fan captured Smith rolling down the window then dancing inside of the car while blasting Nipsey's music. She was excited to celebrate the life and legacy of her boy, and wanted to make sure that his fans remembered him joyfully, as well. She previously delivered words of encouragement in a video that went viral just days ago. "When you walk this earth and you do good deeds for people, and you are loving and kind, those are the things that will show on your face. You will look more beautiful," Smith said int he video. "I have perfect peace, and I have strength, and I want to lift you up. Please do not stay down, do not stay stuck, do not mourn. Because Nipsey is great [...] and now he's even greater because he has no bounds and limits. His energy is everywhere. He's there with you now and he's here with me now and please be encouraged."